Wandering in the fields behind my parents house, the nameless cat called to them weakly. His cries were raspy and harsh, and he was hunkered in the underbrush, simply trying to survive the cold. 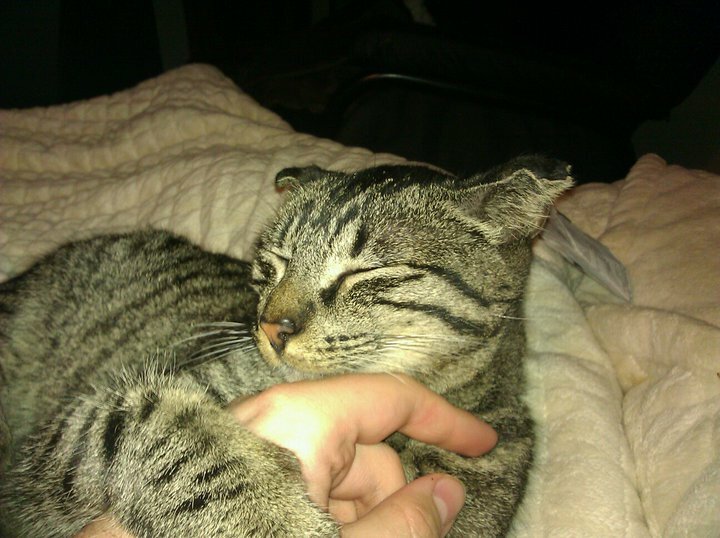 His ears were already frostbitten, and he was obviously starving. This is how we came upon the newest member of my family. He is a scrawny little tabby of about two years, and we have named him Randy after one of my favorite MMA fighters. 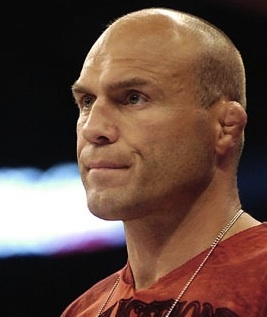 Randy Couture has some major cauliflower ear, and being that his ears may never heal (the vet said that the tips will probably come off on their own) we thought it would be fitting. Sometimes, if you squint, it looks like a fetus. The first time I picked him up, I was startled by just how thin he really was. It was like picking up the bones after eating fried chicken. Needless to say, I have been giving him tuna with his cat food, and am helping him get rehydrated. Hopefully by new years, he will stop looking like a tearjerking picture in National Geographic. After checking the neighborhood for lost cat posters, as well as a few local online boards in the lost and found section, it looks like Randy (I want his name to be Nog, for the same reasons, but it sounds more like an animal's name to me) will be staying with us. He is just about as cuddly as a cat can get, so there is a bit of infighting over whose house he will eventually land at. Oh, what a cutie. Even with his effed up ears.